Abstract: Using the newly expanded set of 40 social tables from pre-modern societies, the paper tries to find out the factors associated with the level of inequality and the inequality extraction ratio (how close to the maximum inequality have the elites pushed the actual inequality). We find strong evidence that elites in colonies were more extractive, and that more densely populated countries exhibited lower extraction ratios. We propose several possibilities linking high population density to low inequality and to low elite extraction. Given the recent increase in the availability of good-quality data on pre-industrial (or pre-modern) societies, there is much need for works of synthesis aimed at discovering the factors shaping long-term inequality trends. Branko Milanovic has been particularly active in this field, with the publication of a recent book on Global Inequality: A New Approach for the Age of Globalization (2016, Harvard University Press) [see the reviews here – Ed]. In this new working paper, Milanovic tries to move forward, using a large database of social tables to single out the potential causes of differences in historical inequality levels and in inequality extraction. He focuses in particular on institutional factors (inequality in colonies vs other areas) and on demographic factors (population density). The results are very interesting and represent a useful step forward in our understanding of inequality change in preindustrial societies. This paper was distributed by NEP-HIS on 2016-11-13. It makes use of a relatively large collection of social tables for preindustrial societies, including overall 40 social tables for about 30 distinct countries/world areas over a very long time: from Athens in 330 BCE to British India in 1938. As is well known, social tables allow us to roughly estimate income inequality. They are particularly useful in situations of relative scarcity of data and although they have been in use for centuries – the first example is Gregory King’s social table dating 1688 – many new ones have recently been produced for a variety of preindustrial societies across the world (see Lindert and Williamson 2016 for the U.S., Saito 2015 for Japan, Broadberry et al. 2015 for England, and Alfani and Tadei 2017 for Ivory Coast, Senegal and the Central African Republic). Although estimating complete distributions is the better option (see for example the accurate reconstruction of income distribution in Old Castile around 1750 by Nicolini and Ramos 2016, the impressive work by Reis 2017 on Portugal from 1565 to 1770, and finally, the estimates of wealth inequality in the period 1300-1800 produced by the EINITE project for a variety of Italian pre-unification states and other European areas: Alfani (2015, 2017); Alfani and Ryckbosch (2016); Alfani and Ammannati (2017), this is not always possible or feasible and social tables must be considered a good alternative especially when there is a relative scarcity of data. As rightly argued by Milanovic, the recent accumulation of new evidence has not been accompanied by equal advances in the work on causal factors driving inequality change in preindustrial times. The seminal article by Van Zanden (1995), in which long-term inequality growth in the Dutch Republic was explained by long-term economic growth, has later been nuanced by works demonstrating that during the early modern period, in many parts of Europe inequality grew also in phases of economic stagnation, or even decline (Alfani 2015; Alfani and Ryckbosch 2016). The role played by large-scale mortality crises, particularly plague epidemics, has been underlined and the Black Death of 1347-51 has been shown to be the only event able to produce large-scale and enduring inequality decline in the period from ca. 1300 to 1800 (Alfani 2015; Alfani and Ammannati 2017). In a very recent book, Scheidel (2017) has taken this line of reasoning further, arguing that all substantial declines in inequality recorded in human history are due to catastrophic events (epidemics, wars, revolutions…). Milanovic’s aim is to find further regularities, looking for possible economic, institutional or demographic drivers of inequality change in preindustrial times. He adopts the theoretical framework of the Inequality Possibility Frontier (introduced in Milanovic, Lindert and Williamson 2011), arguing that we should focus not only on how unequal a society is, but also on how much inequality it manages to “extract” compared to the maximum inequality it could achieve given that everybody needs to reach at least the subsistence level. Hence, as an economy manages to increase the per-capita surplus produced, it also acquires a potential for becoming more unequal. A first relevant empirical finding is that colonies tend to be exceptionally extractive, especially at low levels of per-capita GDP. As Milanovic points out, this is not surprising and can be explained by colonies being more exploitative, i.e. 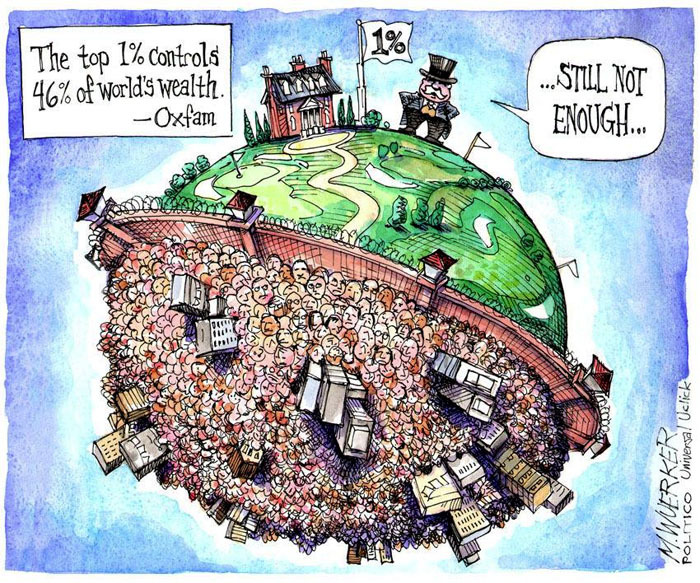 being pushed closer to the inequality possibility frontier by rapacious elites. This is apparent when looking at inequality extraction (being a colony raises the “inequality extraction ratio” by almost 13 percent points), but not necessarily when looking at overall inequality as measured by a Gini index. A more novel finding is the negative correlation between population density and both inequality and inequality extraction. In fact, a “high number of people per square kilometer seems to be a strong predictor of relatively egalitarian economic outcomes” (p. 16). Explaining this empirical finding is not easy and Milanovic resorts to two conjunctures: 1) in a less extractive economy, the poor enjoy relatively good living conditions and this might lead to greater population growth; or 2) a particularly dense population might be better able to make the position of the elite/of the ruler relatively precarious, enjoying de facto some sort of control over the actions of the elite and forcing it to adopt less extractive policies. As is clear, the direction of causality is the opposite in the two explanations – which are probably to be considered not mutually exclusive. 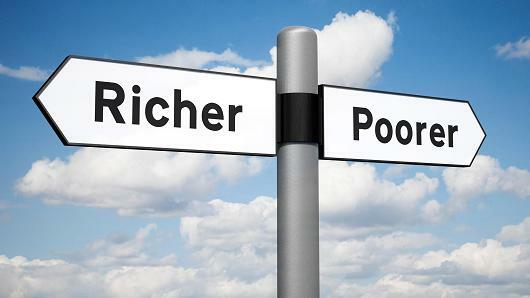 Other correlates of inequality and inequality extraction include per-capita GDP and urbanization rates, which turn out being borderline significant (per-capita GDP) or positively but non-significantly correlated (urbanization rate), coherently with what was found by other recent comparative studies (Alfani and Ryckbosch 2016; Alfani and Ammannati 2017). Undoubtedly, Milanovic’s new article helps to fill in a real need for more comparative research on preindustrial societies. The findings, albeit provisional, are very interesting and either they provide useful confirmation of what has already been argued by others – for example about the inability of per-capita GDP to explain preindustrial inequality growth in a satisfying way– or they lead us to think along new lines, especially regarding the impact on inequality of demographic variables. In fact, as urbanization rates proved to be a far poorer explanatory variable for inequality change than we expected (see in particular Ryckbosch 2016; Alfani and Ryckbosch 2016; Alfani and Ammannati 2017), demographic factors came to be perceived as probably relevant, but also somewhat puzzling (exception made for mass-mortality events like the Black Death, whose inequality-reducing effects now stand out very clearly). Population density offers us a novel perspective and in time, might prove to be the right path to follow. However, there is also some space for constructive criticism. A first point to underline is that, differently from what Milanovic argues, the time might not yet be ripe for the kind of definitive and encompassing comparison that he seems to have in mind. The data available is still relatively scarce, including for Europe, which is the world area that has attracted the greatest amount of recent research. Additionally, social tables, albeit easily comparable, are not perfectly comparable – for example because they can include a greatly varying number of classes/groups. In some instances, classes are very few and we have no hint at within-class inequality. These are two reasons why, as argued above, complete distributions are strictly preferable to social tables. Finally, in the current version of Milanovic’s database, for the vast majority of countries only one social table is available, whereas multiple social tables for the same country at different time points would make for sounder statistical analyses. There are ongoing projects, especially EINITE and related projects, whose aim is to provide comparable state-level information on wealth and income inequality for large areas of the world at different points in time in the long run of history, but these projects are heavily dependent on new archival research and require time to be completed. Secondly there are other possible common factors shaping long-term inequality change which Milanovic cannot consider in the context of the current article. Some of these have been underlined by a recent comparative paper by Alfani and Ryckbosch (2016) which, although focusing on “only” four European states during 1500-1800, nevertheless had the advantage of having recourse to inequality measures produced with a common methodology and covering all states continuously in time. This study underlined two factors common to all the areas covered: 1) “proletarianization”, i.e. the progressive disappearance of small peasant ownership, which occurred throughout Europe during the early modern period, and 2) the inequality-increasing consequences of the rise of the fiscal-military states from ca. 1500. These factors might have played a role also in other world areas, from the broader Mediterranean to East Asia and maybe elsewhere – but at present that is no more than speculation. 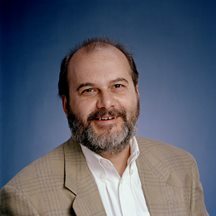 Obviously, such criticism in no way negates the considerable usefulness of Milanovic’s new paper – which is also a further demonstration of how his relatively new concept of the inequality possibility frontier allows for a deeper understanding of the actual conditions and consequences of distribution. It does, however, indicate that we are still a long way from being able to identify without ambiguity the main causes of inequality change in preindustrial societies that so many international economic historians are now attempting to discover. Alfani, G. (2015), “Economic inequality in northwestern Italy: A long-term view (fourteenth to eighteenth centuries)”, Journal of Economic History, 75(4), 2015, pp. 1058-1096. Alfani, G., Ryckbosch, W. (2016), “Growing apart in early modern Europe? A comparison of inequality trends in Italy and the Low Countries, 1500–1800”, Explorations in Economic History, 62, pp. 143-153. Alfani, G., Ammannati, F. (2017), “Long-term trends in economic inequality: the case of the Florentine State, ca. 1300-1800”, Economic History Review, forthcoming. Alfani, G., Tadei, F. (2017), Income Inequality in Colonial Africa: Building Social Tables for Pre-Independence Central African Republic, Ivory Coast, and Senegal, IGIER Working Paper, forthcoming. Broadberry, S., Campbell, B., Klein, A., Overton, M, Van Leeuwen, B. (2015), British Economic Growth 1270-1870, Cambridge University Press. Lindert, P.H. and Williamson, J.G., Unequal gains. American growth and inequality since 1700, Princeton University Press, Princeton 2016. Milanovic, B., Lindert, P.H., Williamson, J.G. (2011). “Pre-Industrial Inequality”, The Economic Journal, 121, pp. 255-272. Nicolini, E.A., Ramos Palencia, F. (2016), “Decomposing income inequality in a backward pre-industrial economy: Old Castile (Spain) in the middle of the eighteenth century”, Economic History Review, 69(3), pp. 747–772. Reis, J. (2017), “Deviant behaviour? Inequality in Portugal 1565–1770”, Cliometrica, 11(3), forthcoming (early view: http://link.springer.com/article/10.1007/s11698-016-0152-7). Ryckbosch, W. (2016), “Economic inequality and growth before the industrial revolution: the case of the Low Countries (fourteenth to nineteenth centuries)”. European Review of Economic History, 20(1), pp. 1-22. Saito, O. (2015), “Growth and inequality in the great and little divergence debate: a Japanese perspective”, Economic History Review, 68(2), pp. 399–419. This entry was posted in Economic growth, Economic History, Guido Alfani, Inequality and tagged Colonial history, economic history, inequality on 2017-01-24 by bbatiz.